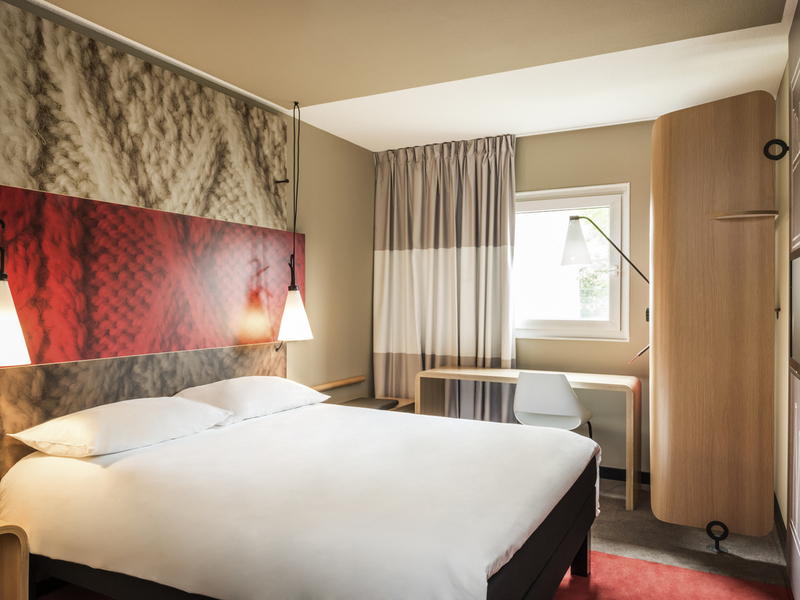 The ibis Saint Etienne La Terrasse hotel is on the northern fringe of Saint Etienne, 20 km from the airport, close to Mont Pilat, the gorges of the Loire, St Galmier and lake Grangent. 500 m from the Modern Art Museum, the hotel offers for booking 85 room s with Wifi connection, including 2 for disabled guests. You can book 5 meeting rooms (250 persons). A restaurant, a bar, snacks 24/24 and closed pay parking are at your disposal. A golf course is just 3 km away. Themed restaurant: wine bar. Close to the modern art museum, and 15 minutes from the gorges of the River Loire and the Pilat regional nature park. The pleasure of good food à la carte. Meal time throughout your stay means the chance to discover the culinary stops of our Ibis restaurants, ready to welcome you 7 days a week, 365 days a year, every night open at least 7 p.m. to 10:30 p.m.